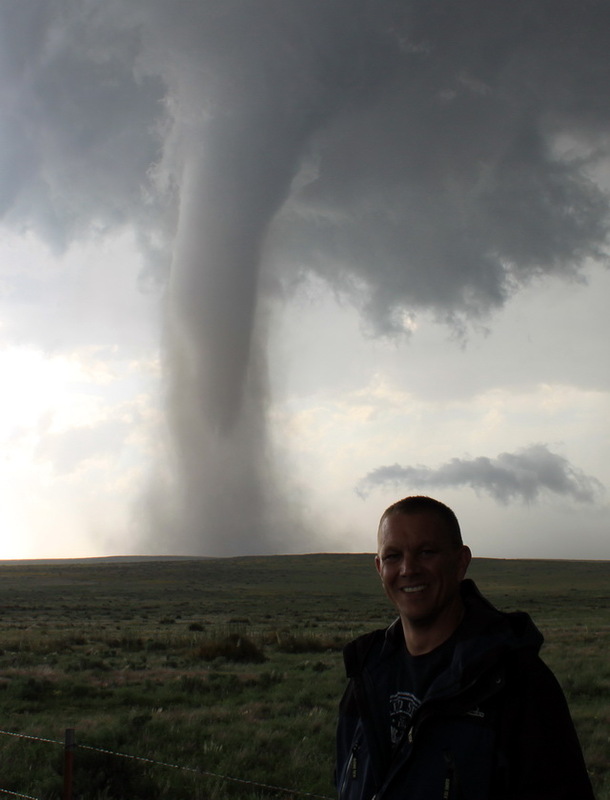 ThorntonWeather.com went online in October 2006 and is the brainchild of a Colorado native and Thornton resident. Colorado's weather can change drastically in a matter of minutes. Sunny and beautiful in the morning and blizzard conditions by the evening rush hour. Dangerous lightning, severe thunderstorms, tornadoes, blizzards, torrential rain. All of that and more occur regularly here on the Front Range. Further, what the news stations report happening downtown may not at all be what is happening in our area. While they may have clear, sunny skies, Thornton could be experiencing hail or severe wind. The temperatures and forecasts they report are for downtown, Stapleton and DIA, all a long ways from Thornton. ThorntonWeather.com was created to provide residents of our area with information about OUR weather. If you have any questions about Thornton weather or ThorntonWeather.com, please feel free to contact us. Help ThorntonWeather.com: Learn how you can help us provide you all the great news & weather information you need. 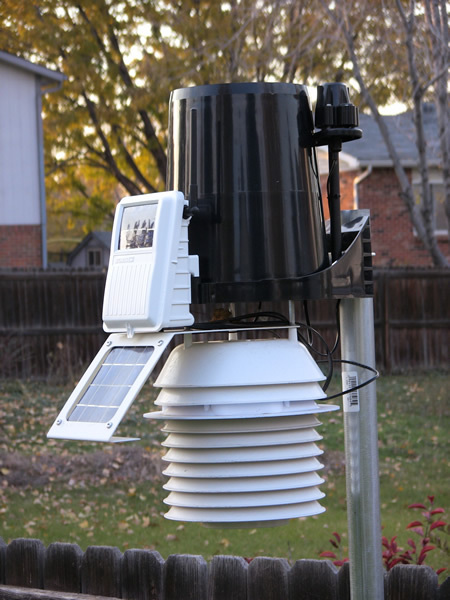 The station is powered by a Davis Instruments Vantage Pro2 Plus weather station. The station comprises an array of sensors including an anemometer (wind), rain gauge, a thermo-hygro sensor, and a UV sensor and solar radiation sensor. The temperature and humidity sensors are housed in a radiation shield to protect against solar radiation and other sources of radiated and reflected heat. This shield also is aspirated by a 24 hour fan to ensure accurate readings. The data is collected from the sensors every 2 seconds and the website is updated from every 10 seconds to every 10 minutes depending on the data and the page. 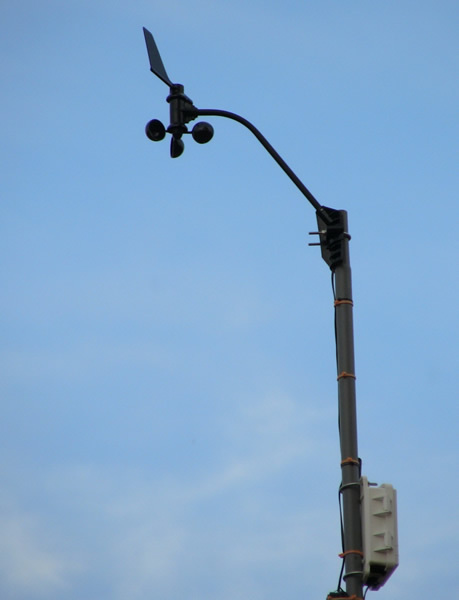 For our lightning detection system, we utilize a Boltek StormTracker coupled with specialized software (Nexstorm) to track and range lightning targets. For more information, please click here to view the page about our lightning system. The ThorntonWeather.com webcams are TRENDnet TV-IP100W wireless cameras capable of standard VGA resolution (640x480 pixels). The cameras are housed in waterproof enclosures that are heated for use in cold weather and fan aspirated to prevent overheating in warm temperatures. Images are uploaded to the Internet every five minutes. 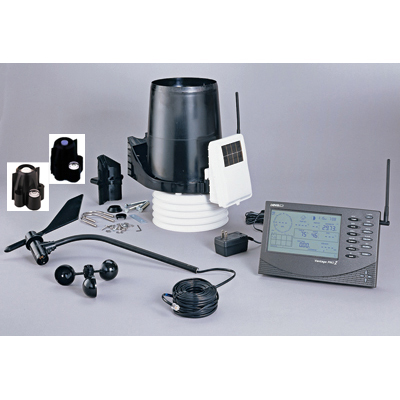 The complete Davis VP2 weather station system. The sensor suite monitoring an approaching storm. 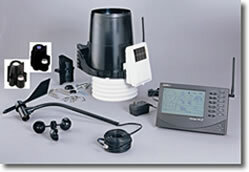 A closeup of the sensor suite. The owner & operator of ThorntonWeather.com. This website is owned and maintained by a Thornton resident as a hobby and as a service to area citizens (we are not endorsed by or an official website of the city of Thornton). The Davis Instruments weather station console receives data from the various sensors. This console is then connected to a Dell Optiplex 745 workstation with an Intel Core2Duo processor and 2GB of RAM running Windows XP. 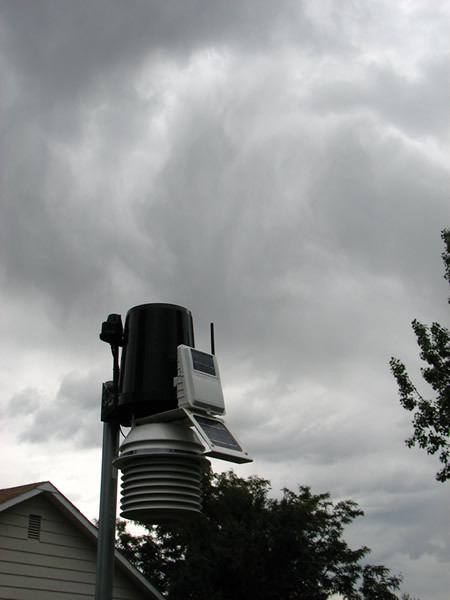 A software program called Weather Display captures all the data and then in turn uploads the information to the web server (hosted by Denver Web Host). Our website is constantly changing as we add new features and enhance existing ones. We keep a log of these changes in our blog here. Click here to view our website change log. A screenshot of the Weather Display software. Click to see a larger image of its current display. Modern day Thornton was comprised solely of farmland until 1953, when Sam Hoffman purchased a lot off Washington Street about seven miles north of Denver. The town he laid out was the first fully planned community in Adams County and the first to offer full municipal services from a single tax levy, including recreation services and free trash pickup. It was announced in a Denver Post article on Feb. 19, 1953, that Mr. Hoffman had decided that the new community was to be called Thornton in honor of then current governor Dan Thornton. On September 21, 1953 work on the first 30 homes began and then On January 31, 1954, the first 40 families moved into brand new, one-story brick houses. The Thornton Community Association (TCA) was formed in 1954 to help guide the new community's development. By the end of 1955, Thornton had 5,500 residents in over 1,200 homes. On May 26, 1956, Thornton was incorporated as a Colorado city and had a population of 8,640 and was one square mile in size. From a town in the middle of nowhere, Thornton grew - and continues to grow - rapidly. That single housing development from 1953 has now grown into a city with an estimated population of 120,000 (2007) and now encompasses over 27 square miles. Thornton is the sixth most populous city in the State of Colorado and the 225th most populous city in the United States. 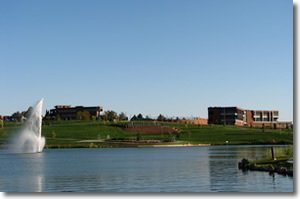 To learn more about Thornton, please visit their web site at: http://www.cityofthornton.net. For more information on Thornton / Denver and Colorado climate, please see our Climatology pages. * ThorntonWeather.com is not endorsed by or an official website of the City of Thornton.